If you're prepping for a big seafood event you're going to want to have a good crab boil on hand. 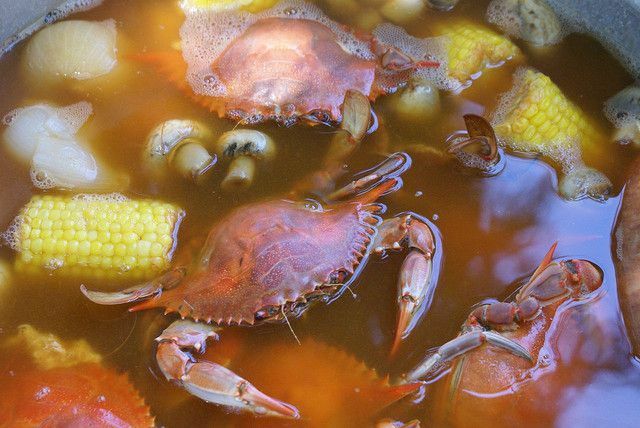 Crab boil is the spice you use to flavor the water that you're boiling crab in. You can, of course, use it for other shellfish as well. Many people use a store bought crab boil but they're easy to make from spices you probably already have in your rack. This easy crab boil spice mix may be used for shrimp, crawfish, lobster, or crab. Add pickling spices, sea salt, mustard seeds, peppercorns, pepper flakes, celery seeds, chives, ginger, oregano, and bay leaves to the bowl of a fitted with the metal blade. Pulsing, process until the mixture forms a coarse powder. For cooking shrimp, add 1/4 cup of the spices, along with 2 teaspoons salt, to a large saucepan of boiling water. For lobster or crab, use 1 part distilled white wine vinegar to 3 parts water. Add the seafood and cook for 2 minutes, or until just cooked through. Remove the seafood and serve or chill.